Life, these days, comes in the few square feet of space we call home. Everything we have, everything we treasure, own and care about is fitted into this little space. Even if you regularly clean it up, it somehow has the ability to get dirty and cluttered. We ourselves contribute to this phenomenon too. Some suffer an affliction in which they're unable to let go of things which may come in handy 'someday'! That bag you bought 3 years ago but never used, or an old pair of shoes swamped beneath your clutter pile… All these little things are taking up big space in your home. Home reorganizing is a periodic must-do to accommodate the new things we buy and declutter our house from the old. It's a therapy to keep your soul happy and home young. The difficult question is where do you start? 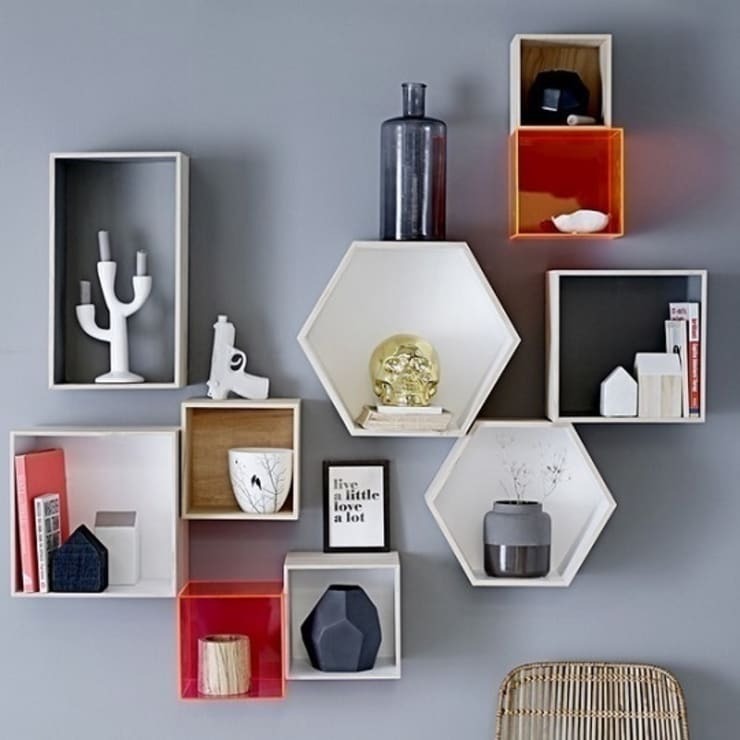 Have a look at our space-saving tricks and storage ideas below! Your house—the one you’ve been living in for years—is sure to have a few places you’ve left unutilized. These spaces are easy to overlook day-to-day, but when you set off with a storage-detective mindset, there are quite a few treasures you’ll find! Utilize space behind doors to hang caps, ties, scarves, towels and even shoes. The good part is this is ‘invisible’ storage only open when the door shuts. Round kitchen storage jars can take up a lot of space. Instead, shift to tall rectangle containers. Utilize space above doors. Cabinets and shelves above doors can be used to store those once-in-a-while items. The side of a desk is often overlooked but can be a handy place to hang a purse. Storage ideas come in all sizes. 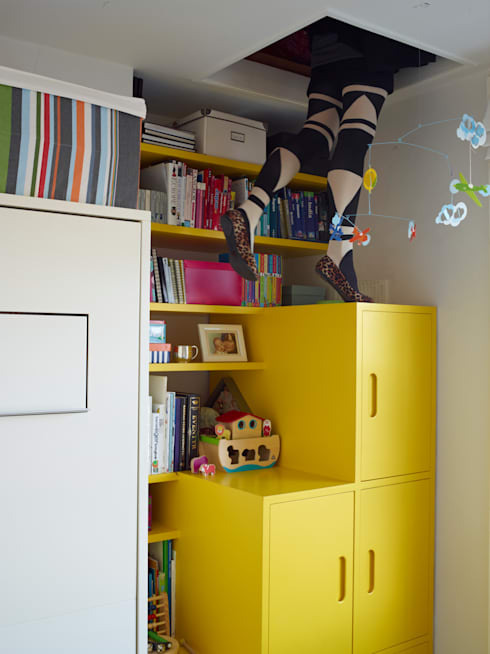 Most parents are always on the look out for space-saving solutions in their children’s room. You can free up floor space and hang a couple of triangular nets on the wall to catch soft toys and balls. You can save space at home by utilizing awkward corners to store books, magazines, and stationery topped with an attractive plant or lamp. Hooks make a great storage hack. You can use them almost anywhere – inside closets, behind doors, below shelves and more to instantly create storage. The space below the sink can be used not just cleaning items but all your spare toiletries you got when you splurged on the buy-one-get-one-free sale. Do away with vanity mirrors in the bathroom and replace them with mirror cabinets that do dual duty for you. Install additional curtain rods in the bathroom to catch small baskets that can hold toys. Create overhead shelves for plants. Always buy dual-purpose furniture – a sofa that converts into a bed, a table that hides the seating beneath it, a bookshelf that doubles up as a study, a painting that doubles up as a table and more. Anything above the height of 11 feet (3.5 metres) and below your ceiling can qualify to be mezzanine storage. If you have mezzanine space, it can be used for anything from an extra bed to an intimate living area to a small study. Space below the stairs can be used to recreate Harry Potter’s bedroom which your children can be super thrilled about. 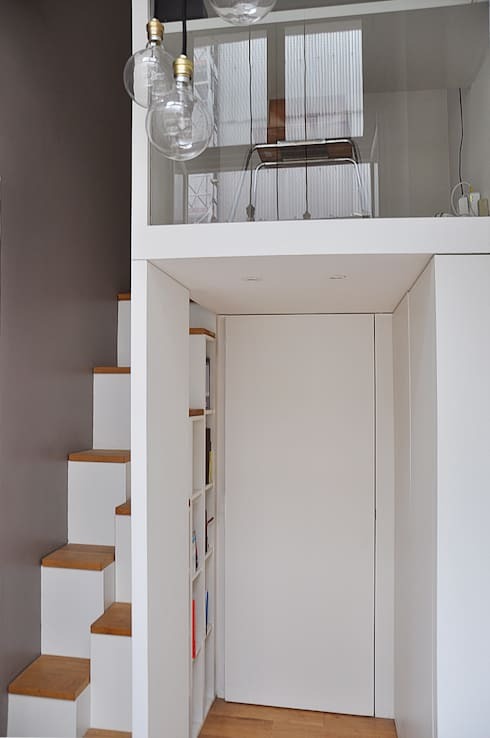 Mezzanines are great to create a small home office taking away the need to dedicate a room or a corner to it. Mezzanines can also be used to create an illusion of space. They need not be full rooms but just a corridor that leads to the room above or the terrace. You can use reinforced glass walls to cover your mezzanine room. This will ensure that lots of light reaches the compact space without leaving your main room overpowered. A garage can be a great place to hide away a lot of outdoor items and keep your tools organized. Some cool space saving tricks for the garage include having storage on the ceiling (create wooden rails that can hold boxes), hanging your bike on the wall and using PVC pipes to double up as your tool holder. You can utilize the entire wall space to hang your other sports utilities from rackets to ball baskets. You can also choose a corner for a foldable garage workbench on which to take on your favourite projects. 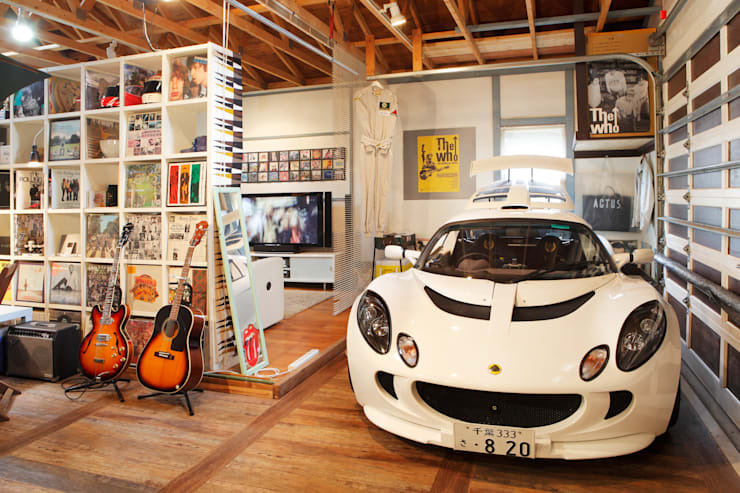 This ingenious garage reorganization idea is from the house of J-Style Garage Co. Ltd. in Japan. A common problem with kitchen shelves is that they are too tall. You can use the old microwave or oven stands to form a double shelf and slowly phase out your current jars with uniform jars that look good and take up fixed space. 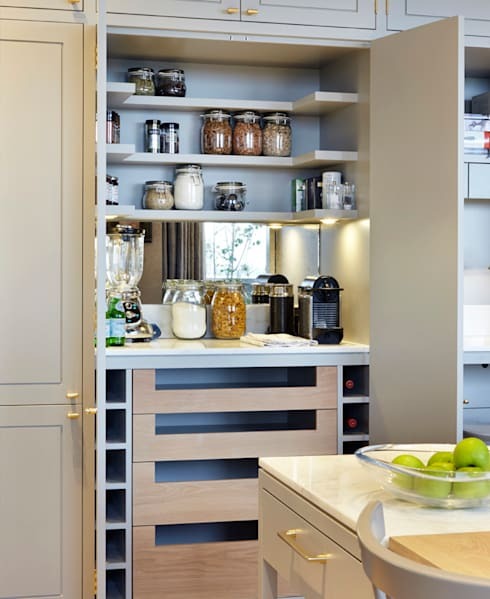 Other space-saving solutions for kitchens include creating a hidden cutting table within the storage shelf that can be pulled out and converting the inside of a cabinet door into a blackboard on which to write your grocery list! You can create a vertical wall for your herb garden and use the small vertical space between cabinets to stack jars and condiments. Mount a metal sheet with holes in varying sizes and put up hooks to catch everything from towels to ladles! Kitchens can be done up in so many ways that this is one place where you will never run out of ideas. A bold and interesting home reorganizing trick is to convert your space into an open plan room. This is among the most sought-after ideas as not many interior designers can make it really come together. 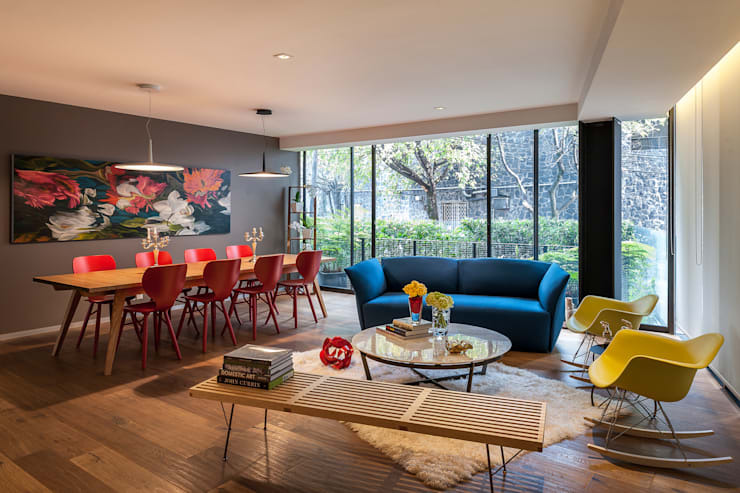 An open plan is said to bring the family closer by combining the actions of entertaining, cooking and eating in one large space instead of different rooms. Open plans tend to eliminate doors and doorways and widen passages giving a sense of spaciousness even if you have a relatively small space. Closed cabinets can leave a lot to the imagination. Replacing your wooden cabinet doors with glass doors can give depth and dimension. You can save space at home by organizing your cabinets neatly (you’ll be forced to do it as the contents are now visible). Display cabinets also allow light to reach the inside corners preventing your rooms from looking compact. For more great space-saving tips, try our ideabook 5 easy space saving tips for your home!